To support corporate employees by providing quality care for their children within nurturing environs. To provide every child with a safe and stimulating environment, as warm as the home, whilst looking into all aspects of his development and encouraging self-paced learning in fun settings. 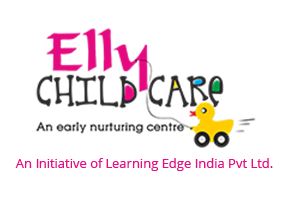 Elly Child Care is a proven, recognized and certified corporate child care provider. It administers a safe, secure and nurturing environment for little ones whilst their parents are at work. Typically, Elly Child Care centers are located at convenient distances from the offices of their corporate clients to give easy access to young parents to their children’s care-giving facility. It aims to make early years an enriching experience both for the parents and the child. A vibrant curriculum combining learning and play, delivered in a hygienic and comforting facility ensures total development of each child at his/her own pace. The trained staff of Elly Child Care is loving, caring and involved in planning a quality program. They give children opportunities to explore, experiment and develop creativity. The program encourages children to socialize, learn acceptable behavior and builds self-esteem and independence. Elly Child Care is also ECA certified.